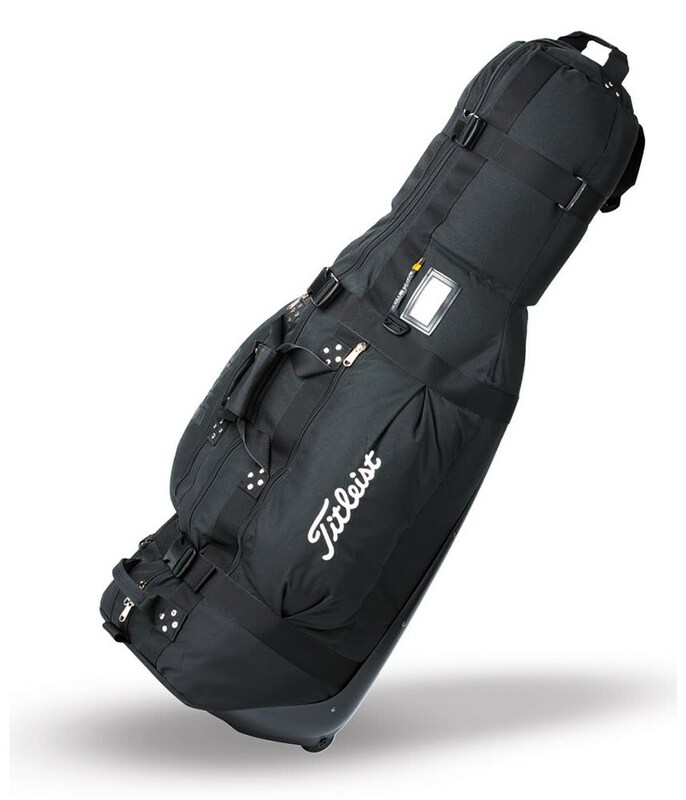 The Titleist Professional Collection Travel Cover provides essential protection to your golf bag when in transit. 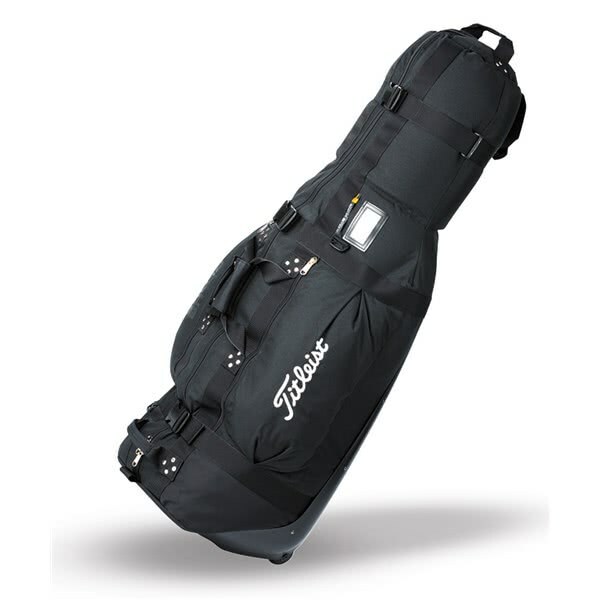 Titleist have used a lightweight and durable construction to create this excellent travel cover with double stitched seams to provide enhanced durability and protection. The main zip opens easily to allow for easy access into the main compartment. This design also allows easy loading and unloading. Padding around the head of the bag provides vital protection to your club heads whilst the outer compression straps will stop or prevent your bag from moving around during transit. In-line skate wheels provide an effortless glide over all types of surfaces. A high-strength woven grab handle at the head of the bag allows you to pull the bag easily and when lifting, the grab handles are conveniently positioned in the middle and towards the base.